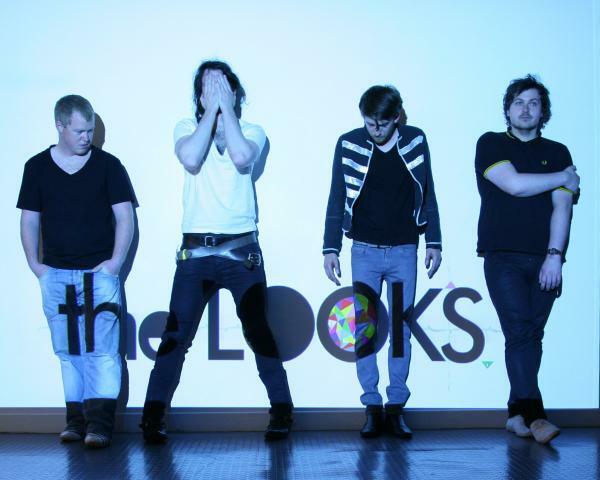 On July 30th Dublin based indie band The Looks released their debut double ‘A’ side single Enemies / Romeo. The Looks are Pearl, Fatty, Nightlight and The Squirrel, a four piece outfit which boasts rasping indie-punk guitar riffs and biting lyrical observations. The Looks have made a name for themselves gigging in Dublin and were described by the Daily Mail as “one of Dublin’s most exciting and sizzling live acts”. Their 2009 promo received airplay nationally on 2fm and also caught the attention of BBC Radio 6’s Tom Robinson. The two songs show two different sides of the band. Romeo is very energetic and loud whereas Enemies is slightly more melodic and Franz Ferdinand-ish. I’m not usually into bands with singers who wear three belts, only one of which is performing the function of holding up his trousers (call me old fashioned) but their songs are lyrically very clever and catchy. This entry was posted in Music and tagged Double-a Side, Music, The Looks. Bookmark the permalink.